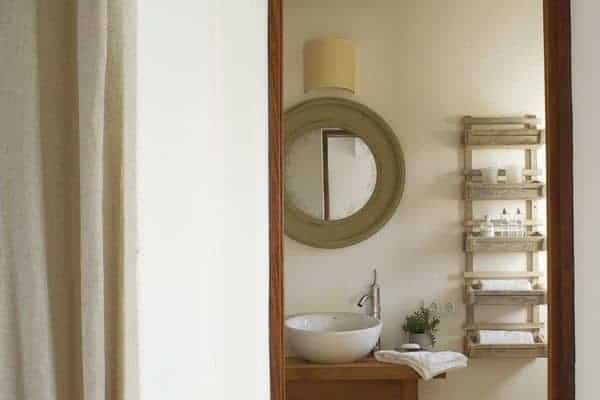 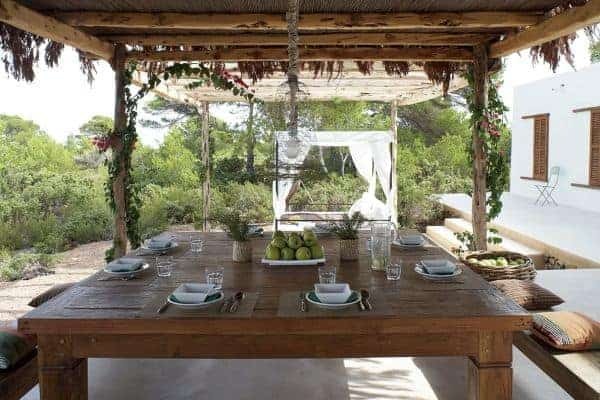 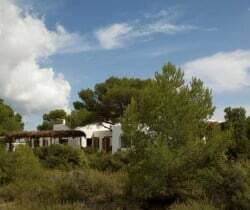 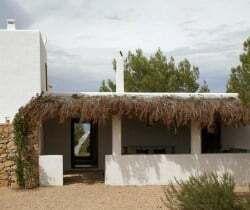 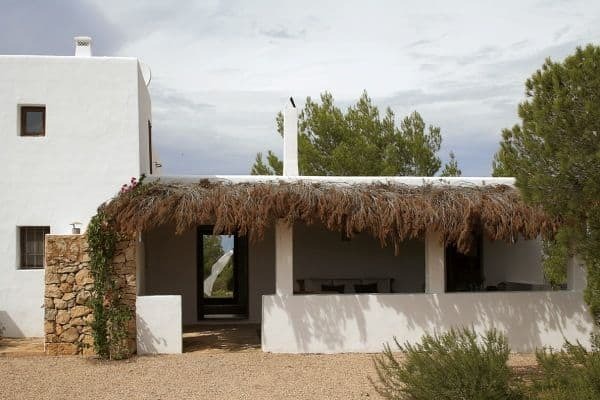 In the rosemary and thyme perfumed air of Cap de Barbaria, the southernmost point on the island of Formentera, this prestigious luxury villa provides great access to the Mediterranean Sea and a dramatic landscape. 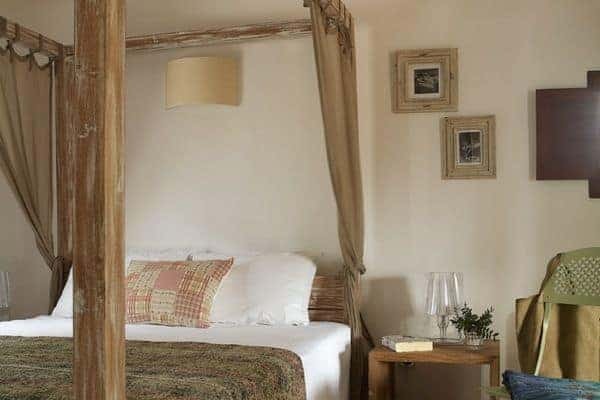 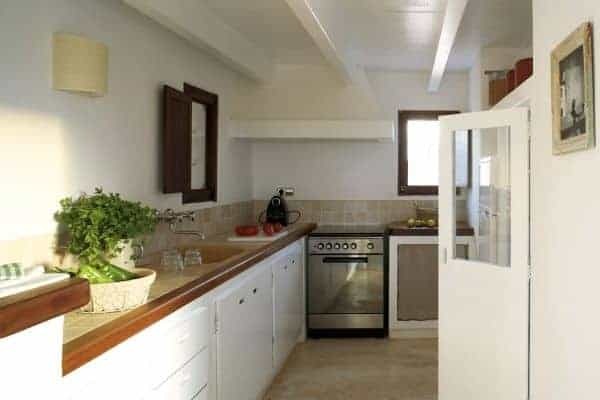 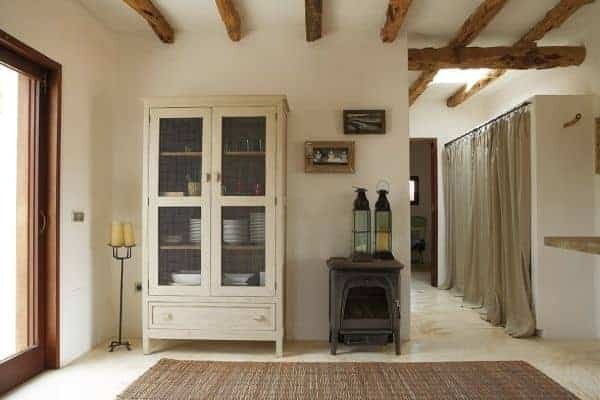 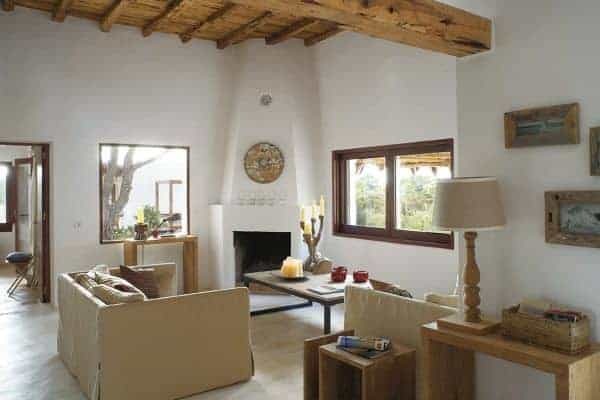 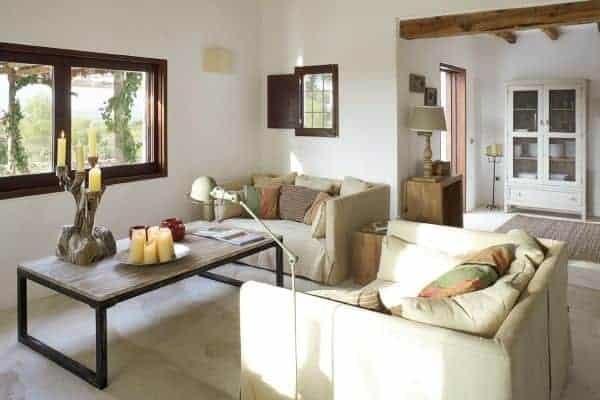 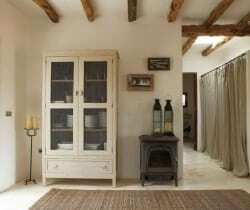 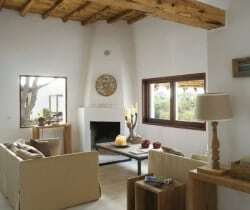 This charming property – 2 rustic stone and wood buildings – has a refined décor that is harmonious with the surroundings. 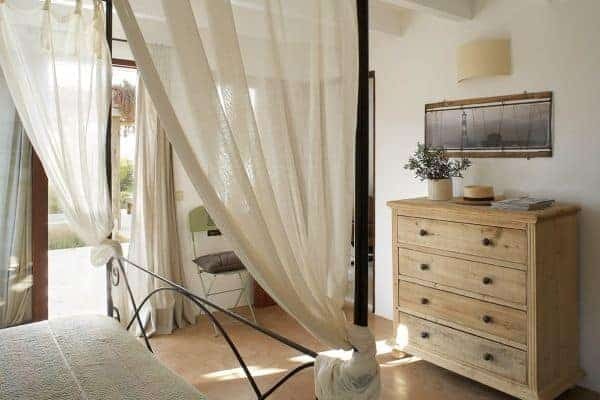 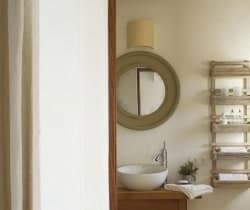 This simple sophistication is perfect this unique retreat, where you will enjoy a soothing equilibrium of white walls, light wood finishing and furniture, and the natural beige and white of the soft fabrics. 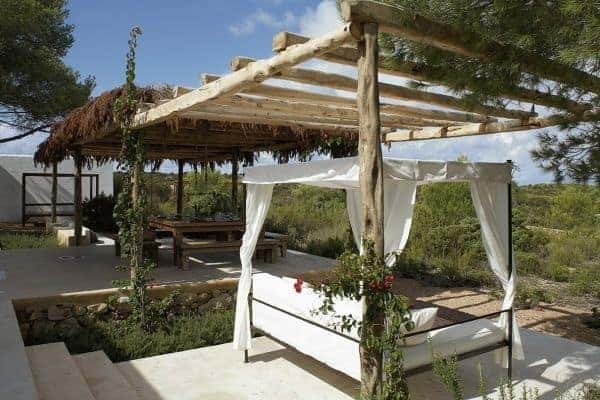 Outside you can indulge in classic Mediterranean al fresco relaxation on wide terraces, shaded, fully furnished and including dining and chill-out lounge areas. 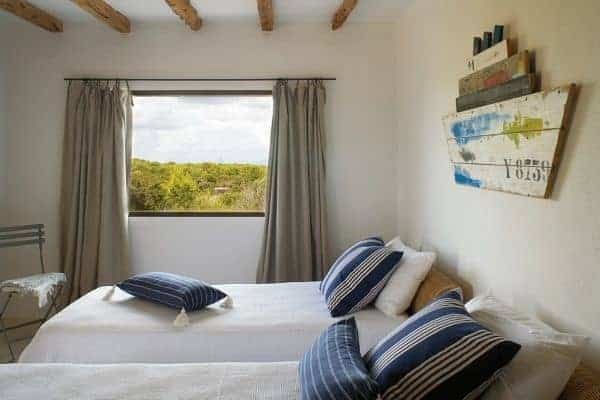 You will enjoy total seclusion but, if you do wish to venture out from this sanctuary, Sant Francesc is the main town on the island and a few kilometres away. 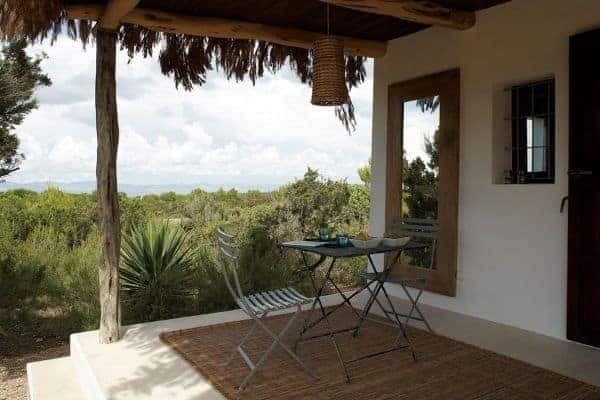 Another lovely local excursion is the landmark lighthouse, Far de Barbaria, where you get great views of the mystical Es Vedra rock island and Ibiza. 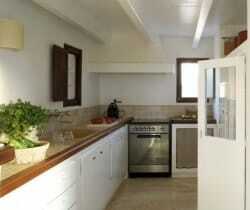 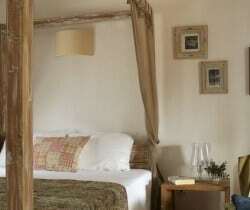 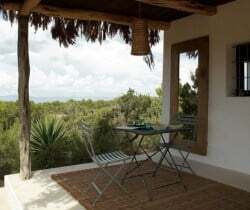 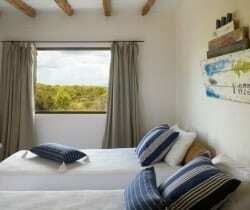 The property accommodates up to 8 people in 4 bedrooms en suite in the 2 buildings. 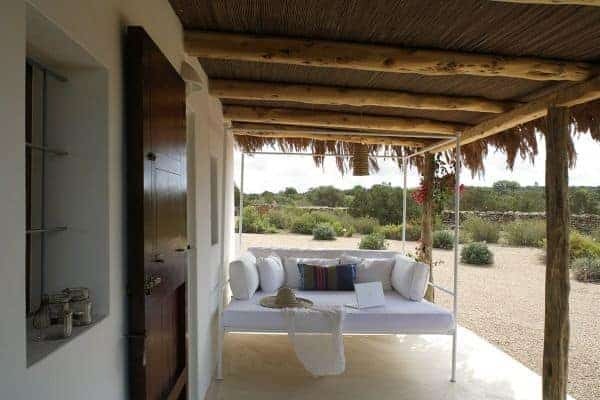 The main building is designed for your full use with all amenities, including a comfortable open plan living-dining area and separate kitchen. 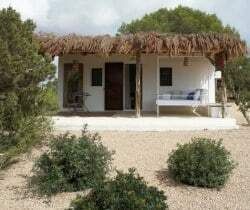 The enchanting and smaller building: a cabin-type structure with a lovely porch. 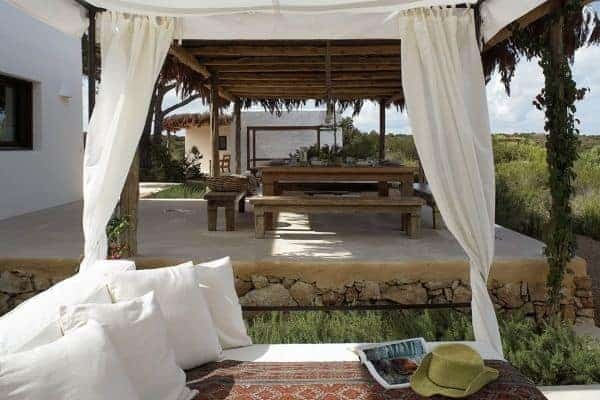 Not only are there impressive outdoor terraces for your pleasure, but also a picturesque swimming pool for your enjoyment, furnished with beds and mattresses, chairs, and a wet bar with refrigerator. 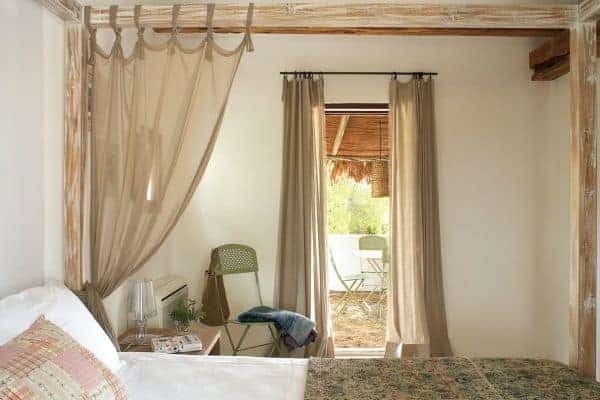 Stay here to be a recluse, experience Nature at its finest, adore the utmost privacy, and to enjoy serene sun-filled days and star-crossed nights. 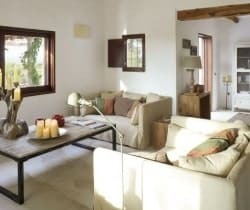 This is a luxury villa ideal for families or groups of friends seeking a holiday of total seclusion in a unique Mediterranean atmosphere. 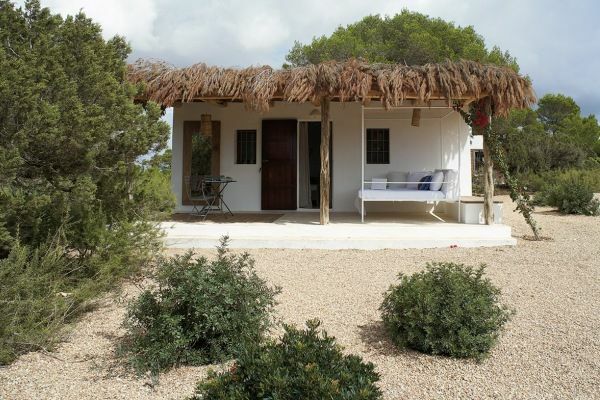 Here you can find a perfect balance of style, comfort, nature and solitude.